Want the answers to where you can find pretty, cool-looking free digital scrapbooking elements to enhance your scrapbook pages? You’ll not find a pile of links here that offers you second-rated digital freebies. Instead, what you’ll get are carefully hand-picked resources that offers some of the prettiest digital scrapbooking elements available out there. And the sweetest part of the deal? They are free! Some require you to become a free member. But it’s definitely worth it as you’ll be getting tons of freebies that you can use liberally! Of course, for personal use only. Isn’t that more than enough? Usually the better sites have tutorials to guide you along. 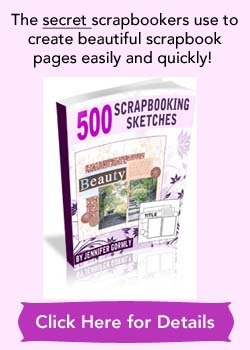 And these tutorials are geared towards specific scrapbooking programs like Photoshop or PaintShop. Frankly, I’m not be a digi-scrapbooker yet. I already have my arms full with paper scrapbooking. But just looking at these delicious digital freebies made me think otherwise. One of these days, which I hope will be very soon, I’ll be knee-deep playing around with free digital scrapbooking elements. For now, just let me share with you what I’ve found. 2008 May: I’m updating my resource list here. It’s also to let you know that I’ve started digi-scrapping in July 2007 and I’m loving it! One of the amazing part of digital scrapbooking is the amount of gorgeous free digital scrapbooking elements that’s out there waiting for you to use! In fact, there’s so much freebies for our plucking that I’m becoming more selective of what I’m downloading, gotta watch that memory space on my computer! I simply have to say that these digital scrappers are so brilliantly creative and generous with their free offerings! Because of their generosity and such willingness to share, they make the digital scrapping world so much more fun and beautiful! Have to take this chance to express my big thanks to all these incredibly giving digital scrappers! Thank you, thank you, and thank you! Right now, let’s dig into beautiful and free digital scrapbooking elements! 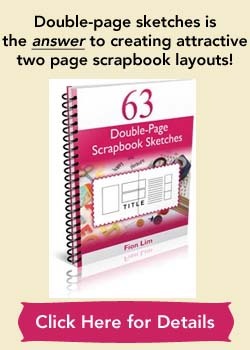 A great site with a good offering of free digital scrapbooking elements. Digital elements are freely shared among registered members only. Please sign up, it’s worth it. The sign-up process is fast, easy and painless. Want to complete a page in minutes? Then check out their “Ploppers”. These are finished pages where you can just “plop your photos onto”. What else can you find here? “Page Kits, ploppers, elements, alphas, overlays, wordart, backgrounds, textures, brushes, blinkies, and more!” Just be sure to register yourself first. Then you can go into their “Archive” to snag even more freebies! This is the site when I downloaded my first digital scrapbooking kits. When I first started, I found Shabby Princess and I was so thrilled with all her heart-melting kits and they are free! It’s such a lovely site and the creator Shabby Princess used to put up a free monthly kit for downloading. These days she’s not offering as much free kits as she used to since starting her own Shabby Shoppe, but there’s usually about 20 pretty kits for you to download at any time. Hey, each kit is fabulously and gorgeously put-together, you’ll want them all and best of all, they’re free! For members only. Once again, you gotta sign up and it’s a breeze to do so. There’s hundreds of digital scrapping kits for you to download. But remember to make your download quick, as I’m not sure when they would take away these freebies as it’s stated for a limited time only. There are thousands of free digital scrapbooking elements, papers and alphas at https://chantahliadesign.com Instantly download them all.